Ray Charles was awarded an Honorary Doctorate of Humane Letters from Shaw University. 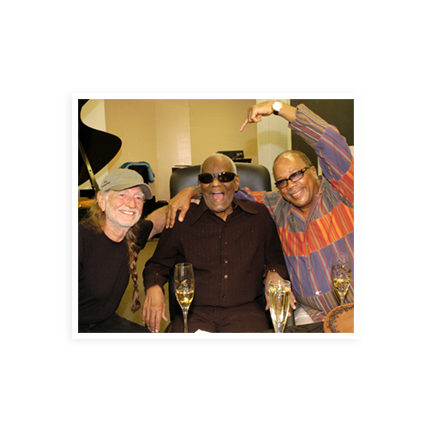 Ray Charles received the “Life Time Achievement Award” from the Blues Foundation. Ray Charles was the first recording artist to appear on a state lottery’s scratch-off ticket with the Georgia Lottery. Ray Charles made a special guest appearance on Blue’s Clues Big Musical Movie as a fictional character named G-Clef. 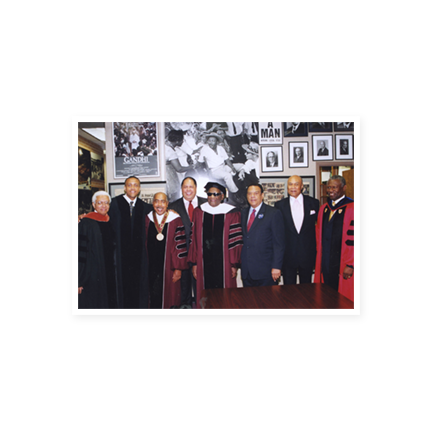 Ray Charles was awarded an Honorary Doctorate of Humane Letters from Morehouse College. 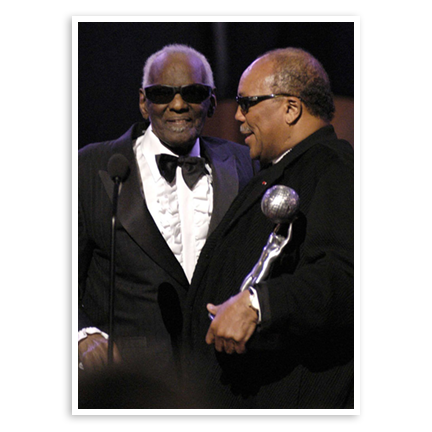 Ray Charles received the “Trumpet Award” on behalf of Turner Broadcasting Systems. Ray Charles received the “Lifetime Achievement for Arts and Entertainment” was presented to him by Morehouse College at the 2001 Candle in the Dark Gala. Ray Charles remains the first and only performer to have the Union-Pacific Railroad stop trains as to not interrupt his concert. “I am assured that there will be no traffic past Harrah’s from 8:00 and 9:30pm on Sunday. It’s not something that we could probably do every day, but certainly when it’s an important event like this one, and involves one of the true music legends of the country, we will do so,” said Union-Pacific Railroad spokesperson Mike Furtney. Ray Charles was awarded an Honorary Doctorate of Music from Albany State University. Ray Charles played chess with American Grandmaster and former U.S. Champion Larry Evans. Evans won but some analysts believe Ray Charles resigned prematurely. This game was featured in an article written by Larry Evans in Chess Life, September 2002. Ray Charles was the first recording artist to perform live music from the floor of the Roman Coliseum; it was the first event held there since A.D. 404. Ray Charles was the first major concert performer to achieve 10,000 concerts. B.B. King accomplished this in 2006. Ray Charles was awarded an Honorary Doctorate of Humane Letters from Dillard University. Ray Charles performed at the 89th Annual White House Correspondents Dinner, attended by President George W. Bush. 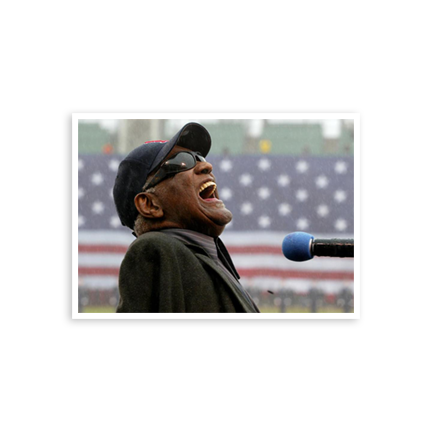 Ray Charles sang “America The Beautiful” at Fenway Park in Boston, prior to the rained out Red Sox home opener against the Baltimore Orioles. Ray Charles received The Recording Academy President’s Merit Award. The 35th NAACP’s Image Awards as a recipient of the “Hall of Fame Award” honored Ray Charles. Ray Charles’ final recording Genius Loves Company sold over five million copies and earned eight GRAMMY Awards. Ray Charles received a GRAMMY for Best Gospel Performance for “Heaven Help Us All” with Gladys Knight. Ray Charles received a GRAMMY for Record of the Year for “Here We Go Again” with Norah Jones. Ray Charles received a GRAMMY for Best Pop Collaboration with Vocal for “Here We Go Again” with Norah Jones. Ray Charles was nominated for Best Pop Collaboration with Vocals for “Sorry Seems to Be the Hardest Word” with Elton John. Ray Charles received a GRAMMY for Best Traditional R&B Vocal Performance for “Sinners Prayer” with B.B. King. Ray Charles was the first real person to be depicted on the cover of The New Yorker magazine. Ray Charles was the first musical icon to have his own Google logo (named “google doodles”). Prior to that the only real people commemorated with a customized Google logo were movie director Alfred Hitchcock, scientist Albert Einstein, the Rev. Martin Luther King, Jr. and artist Pablo Picasso, M.C. Escher and Michelangelo. Ray the movie depicted the real life story of Ray Charles and went on to become one of the highest grossing biopics in history, earning over $125 million at the box office. Jamie Foxx for his performance went on to win the Academy Award for best performance by an actor in the leading role. “Ray approved of Jamie and the movie as a whole, with emphasis regarding his mother prior to his death,” stated Valerie Ervin. 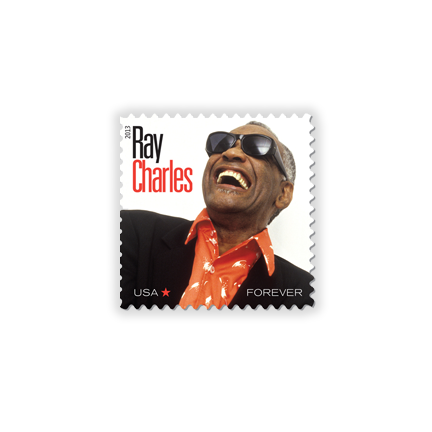 A rare honor for any star; The Ray Charles Post Office is dedicated in Los Angeles. President George W. Bush signed into law a bill (PL I 09-25), sponsored by Congresswoman Diane E. Watson (CA-33rd), designating the U.S. postal facility located at 4960 W. Washington Blvd. in Los Angeles, California, as the Ray Charles Post Office Building. 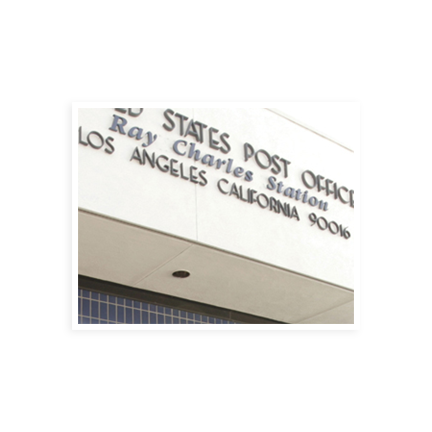 On August 24, 2005, the United States Congress honored Charles by dedicating and renaming the former West Adams Station post office in Los Angeles the “Ray Charles Station.” The first letter mailed after the naming through the Post Office was a letter by former President Bill Clinton. Legislation was introduced in the House of Representatives to award Ray Charles the Congressional Gold Medal. 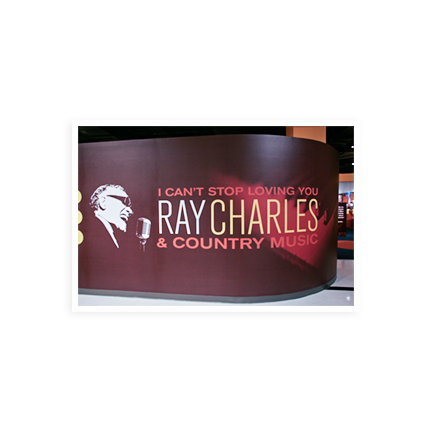 The Country Music Hall of Fame recognized Ray Charles’ remarkable career with special emphasis on his country music influences and contributions to the growth and ennoblement of the genre with a 5,000-square-foot Ray Charles exhibit, at the time one of the largest for an individual. 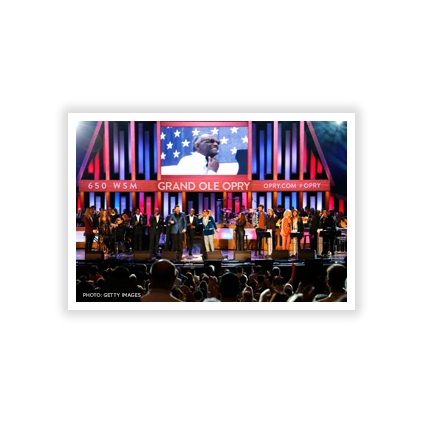 The Great American Country produced Grand Ole Opry Live: A Tribute to Ray Charles that aired on the CMT Network. 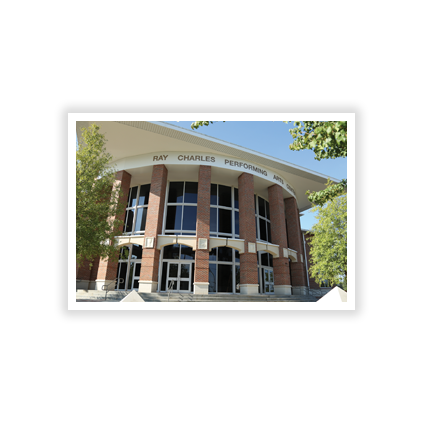 The Ray Charles Performing Arts Center at Morehouse College was opened. The $24-million, 76,000-square-foot facility located at the edge of the historic West End district of the Morehouse campus. It’s the largest facility bestowed in his honor, joining the likes of Martin Luther King Jr. and many other prestigious Morehouse men. 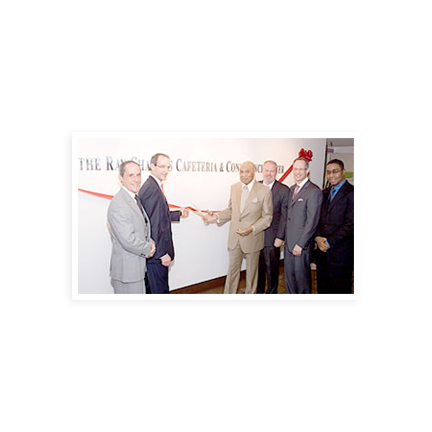 The Ray Charles Memorial Library officially opened on September 23, 2010, what would have been Ray’s 80th birthday. 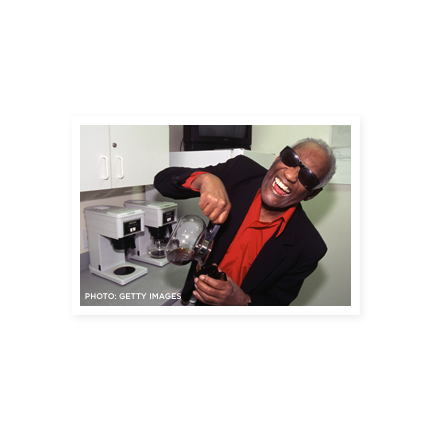 Ray Charles is the first musical artist, to have a Memorial Library built in his honor. The Ray Charles Memorial Library was created by Valerie Ervin as a tribute to Ray Charles’ life and works. In 2017, the library underwent a substantial renovation spearheaded by Valerie Ervin, adding innovative technology to the exhibits. The Library is a glowing tribute to Ray Charles…the man, the entertainer, the musician, the philanthropist, the businessman and genius. 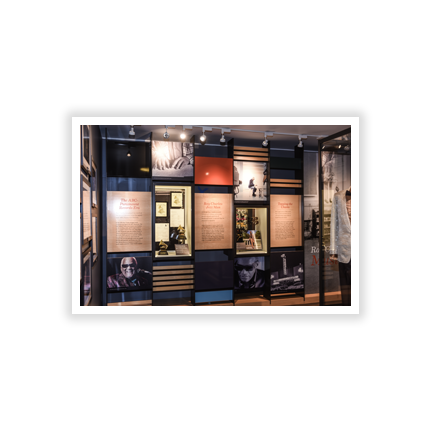 The vision of The Ray Charles Memorial Library is to provide an avenue for visitors to experience music and art in a way that will inspire their creativity and imagination. It is the purpose of this library to create an interactive and artistic platform for youth to tap into their artistic minds and stimulate their senses through the introduction of music and art. Also included is a twenty minute DVD of Charles’ performance of “Imagine” and “A Song for You” and interview segments. The package was available through the USPS and the regular music outlets. FOREVER went straight to Number One on the Billboard Album Chart. 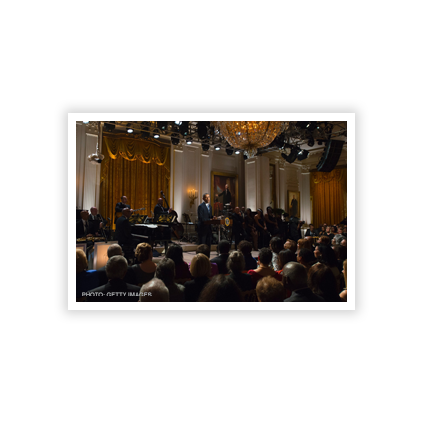 Smithsonian Salutes Ray Charles: In Performance at the White House aired on PBS and TV One February 26, 2016. 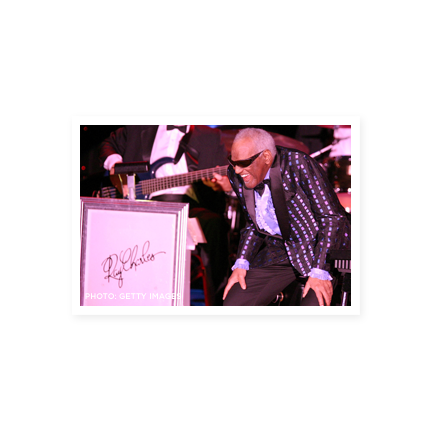 The tribute celebrated the iconic singer, songwriter, composer and musician Ray Charles with performances by Usher, Demi Lovato, The Band Perry Yolanda Adams, Andra Day and with musical director Rickey Minor, among others. 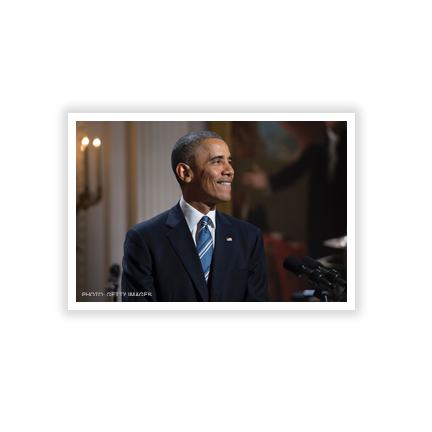 The Charles salute was the sixteenth and last In Performance at the White House during the Obama administration. The President and First Lady wanted the Charles program to conclude the series. Other In Performance programs included Stevie Wonder, Sir Paul McCartney, Burt Bacharach, Hal David and Carole King, among others. 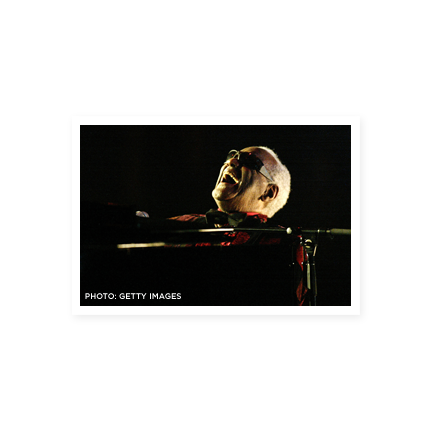 Ray Charles was inducted into the Austin City Limits Hall of Fame. It aired New Years Eve as a PBS special hosted by Chris Isaak and included musical guests Norah Jones, Robert Randolph, Gary Clark Jr. and more. And he was inducted in the Downbeat Hall of Fame. 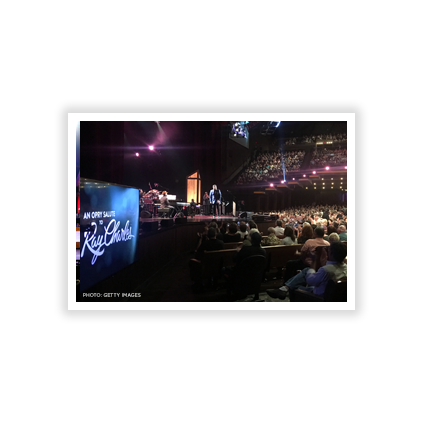 In February, An Opry Salute to Ray Charles from the Grand Ole Opry will bring two iconic entities together on PBS. The re-release of Charles’ landmark Modern Sounds in Country and Western Music Volumes I & II on Concord. During his formative years in Georgia and Florida, Charles listened regularly to the Grand Ole Opry, beaming across the south through Nashville’s WSM-AM. His ability to find common ground in disparate styles and present them with a singular voice was the genius that made these instant classics. Opry Member Darius Rucker hosts with performances by Trisha Yearwood, LeAnn Rimes, Chris Young, Boyz II Men, Lucas Nelson, Ronnie Milsap, Travis Tritt, and Cam, among others. 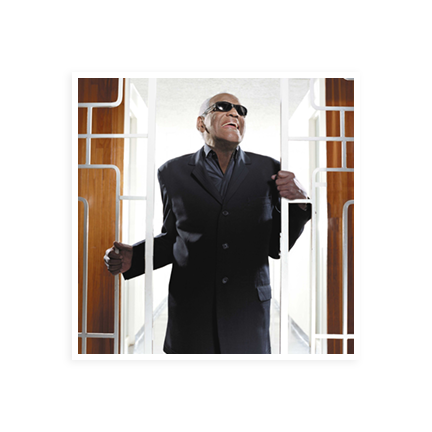 The Salute plays off the legacy by mixing live performances across multiple genres and behind-the-scene footage with a visit to the Ray Charles Library and vintage video material provided by The Ray Charles Foundation. 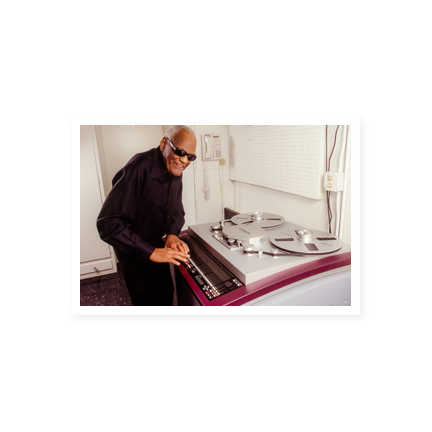 Ray Charles’ Modern Sounds in Country and Western Music, Volumes I & II are major landmarks in American culture. With Volume I released in 1962, Charles demonstrated that great songs with signature performances will work in all genres. Modern Sounds helped to bring America together during the sixties civil rights movement. The songs include “Georgia,” “I Can’t Stop Loving You,” “Your Cheating Heart,” “Born to Lose,” “You Win Again” and “Lonesome Me”. Ray Charles remains the first and only vocalist to have released a Billboard Charts hit in seven different decades (1940s through 2000s). Ray Charles remains the first and only recording artist to have recorded a GRAMMY Award-winning song in six different decades (1950s through 2000s). Ray Charles remains the first vocalist to have won a GRAMMY Award for recordings over a 44-year spread as he did at the awards in 1960 and 2004. Tony Bennett also accomplished this in 1962 and 2006. Ray Charles remains the first vocalist to win at least one GRAMMY Award for four consecutive years as he did in 1960, 1961, 1962, and 1963. Ray Charles remains the first and only recording artist to have recorded ten GRAMMY Award-winning recordings with songs that were originally recorded by others. No other artist has more than four GRAMMY Award winning “covers.” Ray has ten. Ray Charles remains the first and only recording artist to have released a Billboard Charts Top 10 Chart Hit on five different charts, (Jazz, R&B, Country, Pop, Dance).